This year the design is ugh, as far as I’m concerned. 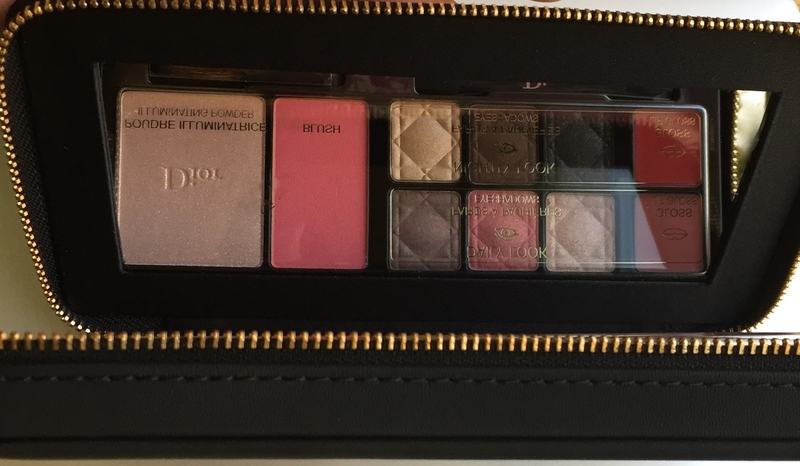 Usually the design is these holiday makeup palettes by Dior is stunning. I found myself loving those a couple years in a row, and that almost never happens, mind you 🙂 In the promo photos this palette looks pretty good, in fact, so I was all excited and intrigued to have it. I wish I weren’t that excited 🙂 Because once I actually saw this palette, held it in my hand, it was such a huge disappointment. I don’t know what this finish on the case is like. 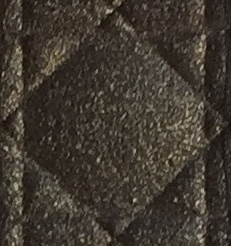 The closest I can come up to it in my description of this finish is say that, to me, it looks like rubber. Ouch. And ouch again. Even the bronze shiny CD logo in the middle of it all – which looks very good, by the way – doesn’t save the day. The rubbery finish overpowers it all. If anything, it looks… too cheap for a luxury market brand. Maybe, it’s my own and very personal reaction to this case finish, I don’t know, but I’m definitely not a fan. I’d say, don’t trust the promo photos this year. Go to a store and take a look at this palette case. Make sure you love it and only then get it. I, for one, can’t say that the part of my experience that comes from the palette design is there for me this year. Pity. 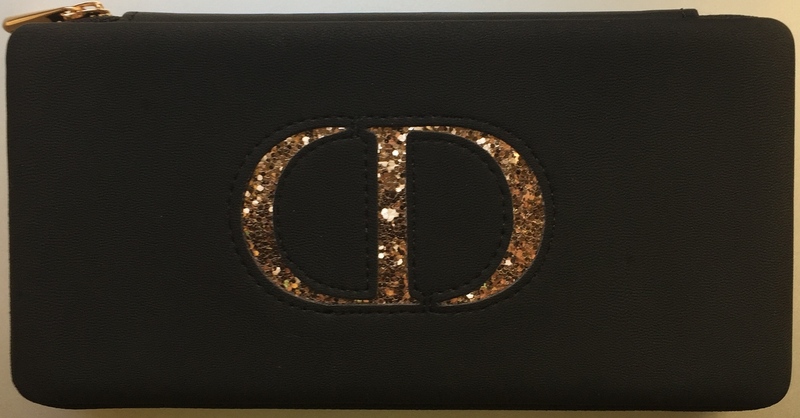 I want it 🙂 Although… I’d like to ask you to hold your judgement till you see all the shades in this Dior palette. Ok? Seriously. Promise me, that whatever I said about the packaging and design here, won’t make you just give up on this palette. Let me first show you something, which might get you to change your opinion, ‘cause it sure did change mine 🙂 Deal? Ok, let’s get rolling here. Before we see the shades though, let me show you the brushes. They are pretty important, when you come to think of it. Somehow I like brush brushes better than sponges. Somehow I like thinner brushes better than wider ones. Probably, it’s because I like precision application. It all depends on a situation, of course, and the type of makeup, but when it comes to eye makeup, that’s my choice. Now you know what a hard time I have. You don’t? 🙂 Well, think about it. What are most eyeshadow brushes like? Yep. They are sponges. And not that thin usually. 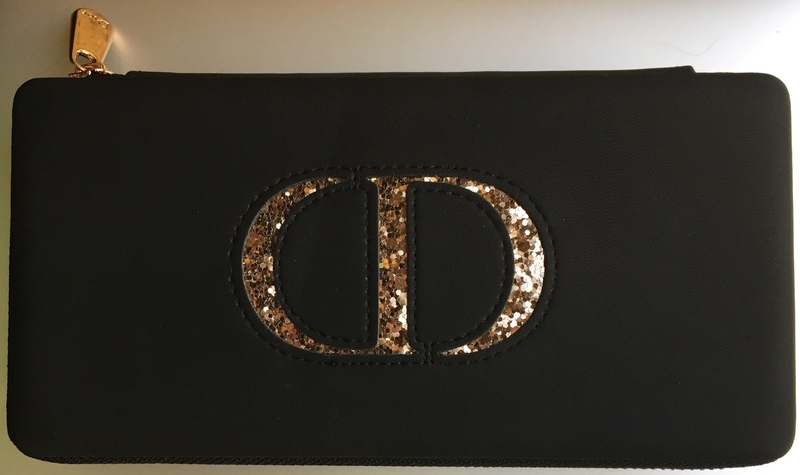 Well, Dior has something for me here. And for you, if you enjoy precision application. 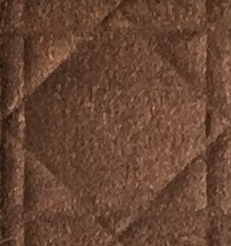 A dual ended brush. 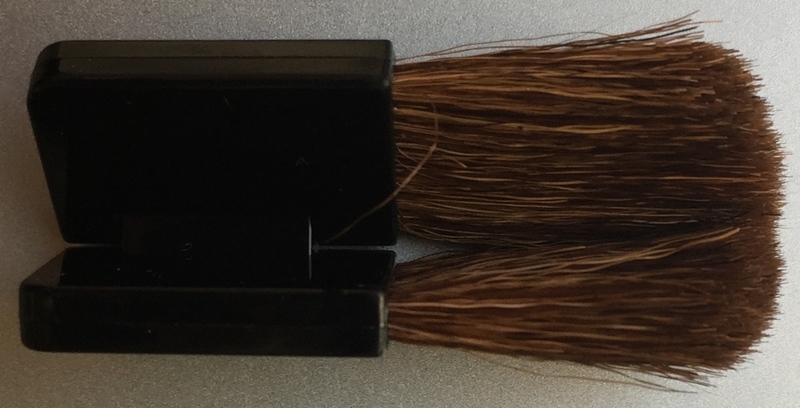 Both ends are brush brush here. And both are thin. Very nice. And rare. 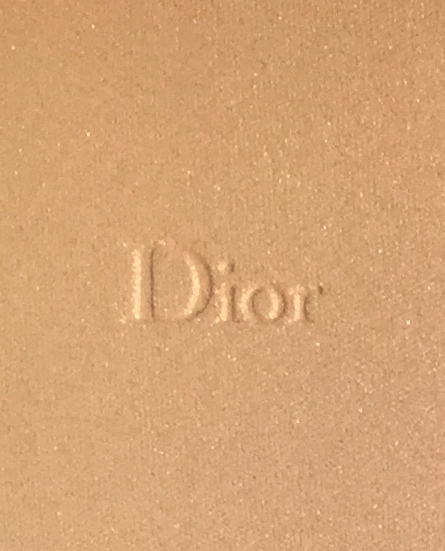 And even the sponge Dior has is not all big. One side of it is a classic. While the other side of it is a sponge too, but it’s thinner and can help you achieve more than just wash eyeshadow all over your lid. That’s brushes. On we go. Face. Here’s what we have this year. 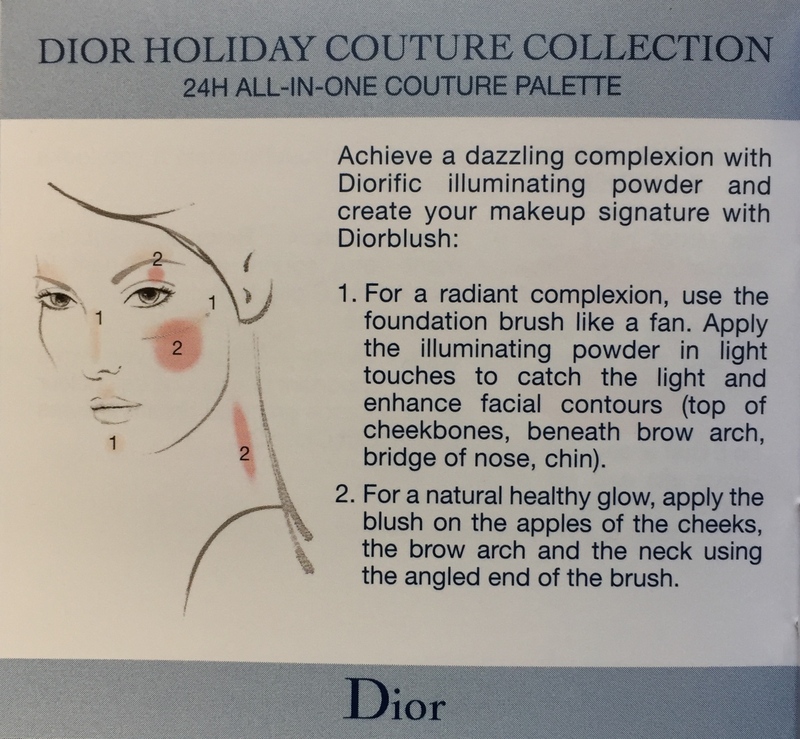 Powder, or else, illuminator, according to Dior, and blush. The usual batch for such palettes, I’d say. And the quality of this illuminating powder and blush is very solid and very nice. The powder is very shiny on top. But don’t be afraid, if you are not a fan of all the shine and sparkle, because it’s definitely less shiny underneath, once the upper pearly and shiny layer wears off. 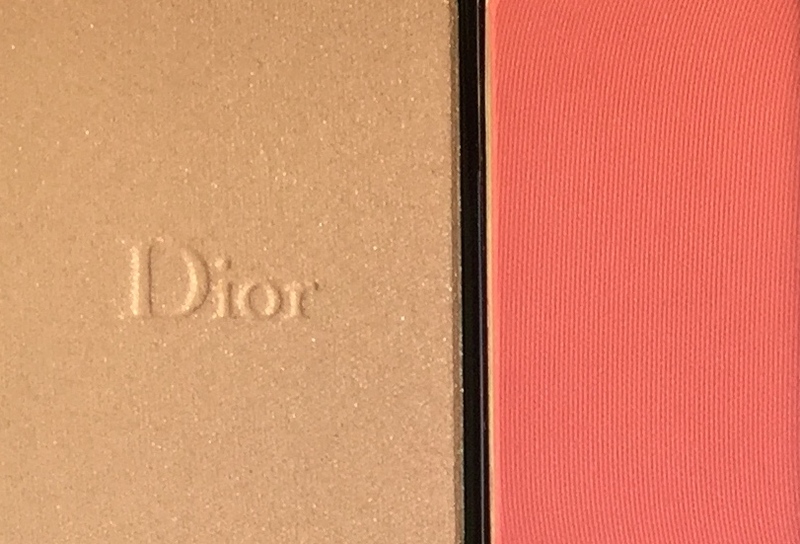 As usual in powders in holiday palettes of the kind by Dior. So, if you want all the pearl and glow, go for the surface. If you want more powder than highlighter, dig deeper, and you’ll be just fine. Let’s talk powder shade now. It’s light beige with very fine golden sparkle. Not too pearly, not too shiny, not over the top in any way. 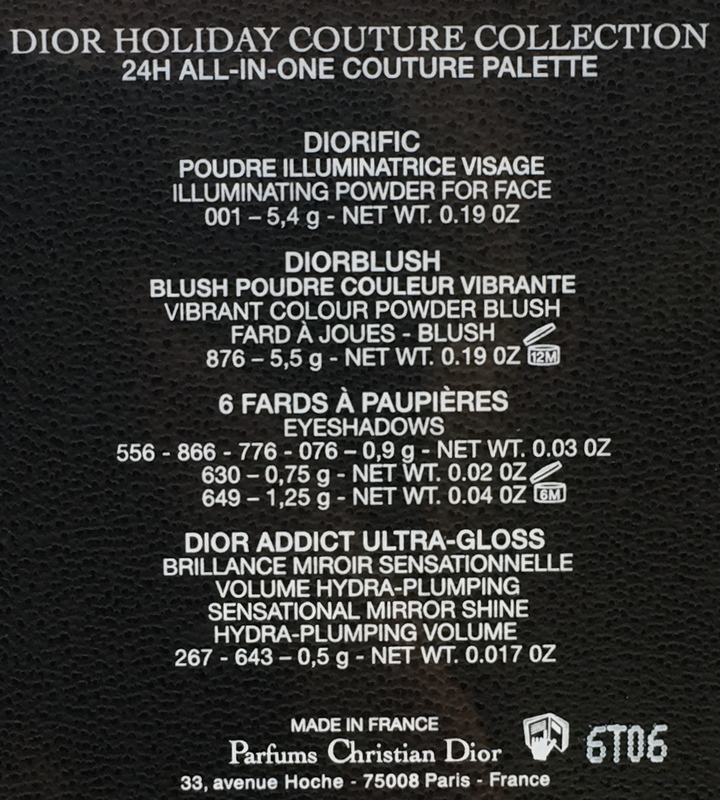 All in all, Dior is right to call it illuminator. And it’s a very chic illuminator indeed. There’s a distant lilac pink cloud hovering over this light beige shade. It’s so delicate I can’t even call it an undertone in all seriousness. It’s just a lilac pink feel there is there. And the blush. In case you had a problem with the highlighter being shiny, you might as well relax now. What a relief for you, as this blush is not shiny or sparkly or glowy or anything like that 🙂 Its finish is very traditional powder blush finish. And it’s a good thing, probably, because the shade is pretty bright, so, if there were any shiny stuff on top of it, it might just be too much. As it is, it works. 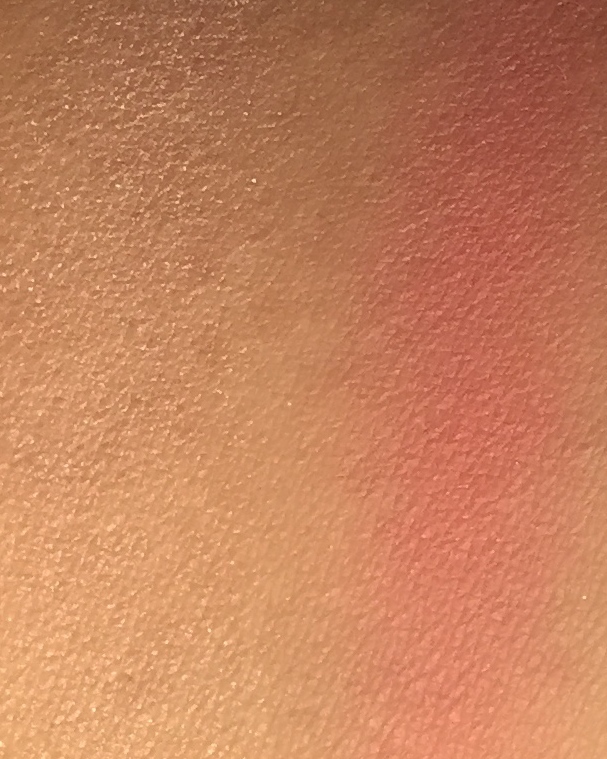 So, what’s this blush shade like? I’ve already told you it’s bright, remember? Here are more specifics for you. The shade is a bright and cooler pink. Cooler than it looks in the picture. So cool it’s almost baby doll, in fact. I’ll tell you what, this bright pink might be too bright for some. I happen to like this bright and upbeat pink shade in blush though. And if you do it right, it doesn’t have to be Barbie like, by the way. Here’s why I’m talking about the eyeshadow and lip colour together here. Imagine this. 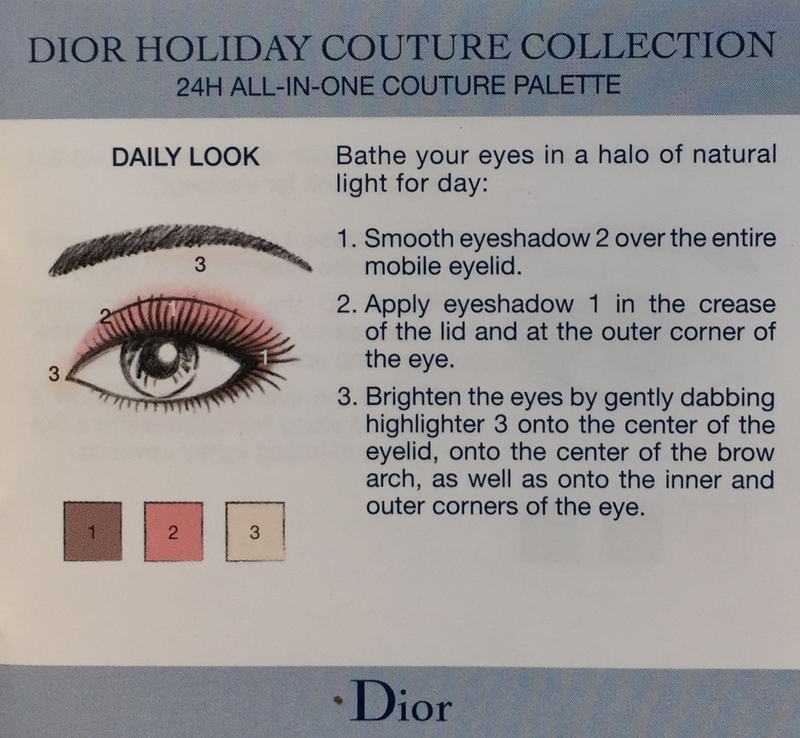 Dior managed to wrap two looks in this one not too big makeup palette. The highlighter and blush is the same for both looks. But the eyeshadow and lip colour is different and is what makes the look daily (according to Dior) or nightly. I think, we can presume from the name of the looks that one is more natural, the other one is more vivid and dramatic. The most subtle and tender greige, as subtle as humanly possible. Understatement leads and definitely wins here. This shade is awesome. It’s elegant, womanly and truly sophisticated. Also, it’s not just dead on greige. Believe it or not, it’s surprisingly warm for a greige shade. And there’s a pink sheen about it. I don’t think I’ve ever seen a shade quite like that, and that’s a lot to ask from an eye shade. Just looking at this shade makes me wanna get all over it and wear it. Well, why hold back? 🙂 If all the shades in this palette are like this one, I’ll be ecstatic 🙂 And, yes, this shade can be daily and casual, but it can so be special occasion too. So special occasion. A satiny pink breath of a shade. Most pinks released in eyeshadow department are cool. I don’t know if you’ve ever noticed it, but they are. Well, here’s some good news. 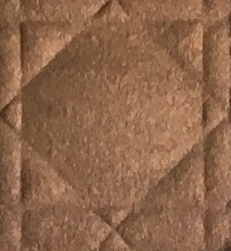 This one is not. Because when something gets released too much or too often, I get quickly bored with it. Even if it’s good and even if I like it, still overdoing something undermines the effect for me. 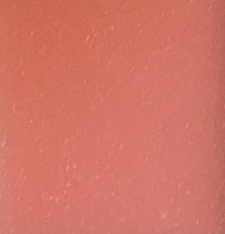 Anyway… this pink is very light and warm, sunny, and the soft and easy sheen there is to it makes it even better. This shade is gorgeous – and it’s the second gorgeous eye shade in this palette 🙂 – and that’s pretty cool. This pink is not just everyday, it can easily be a red carpet shade, if you want it to. 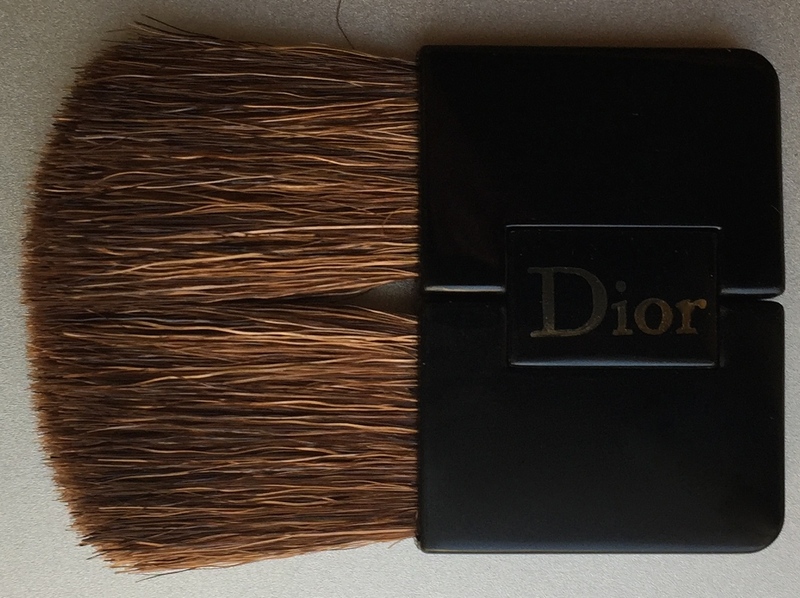 When I just saw this shade, I was like – oh, it’s this typically Dior shiny and pearly and sparkly white. They always include it in their permanent eyeshadow ranges and eye palettes. Always or very often. And they are right to do so. I’m with them. I told you again and again how becoming shiny whites can be on the lids. They help you look fresh, even if you’re as tired as a dog. Also, they can help you create a very romantic and princessy look. 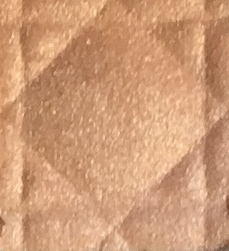 Especially this shade, because it’s not quite linear white – sounds like a poem 🙂 – it’s a very very light beige, just a touch of beige, which has the same effect as shiny whites and has a very bright light golden sparkle and pink in it showing up surprisingly in it under certain angles. As a result, it looks even more perk, dressed up and cute. A great version of shiny whites. A wonderful shade. And one lip shade for the daily look. 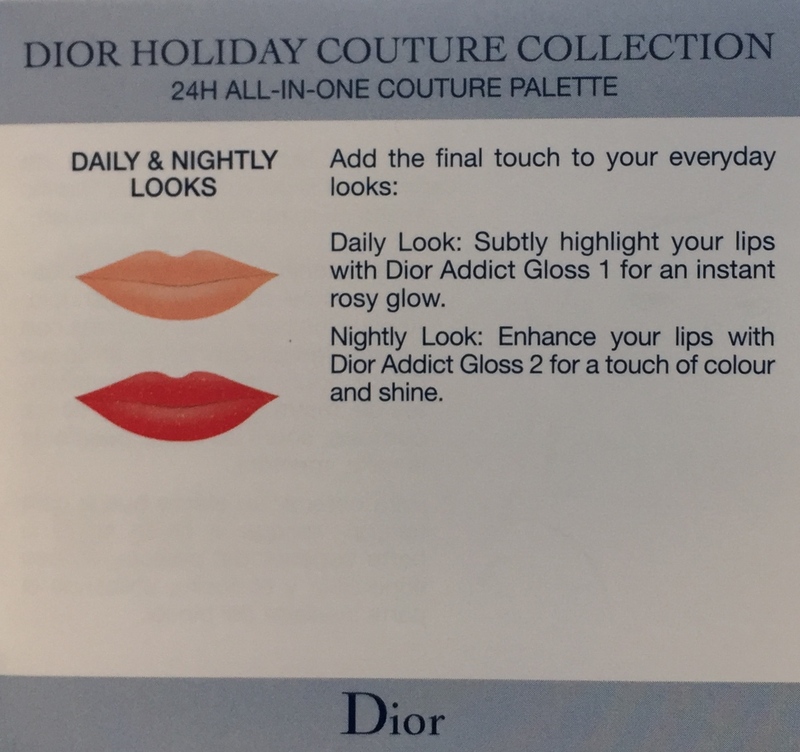 This lip shade is always there in Dior holiday palettes. And every time I ask myself why it’s there. 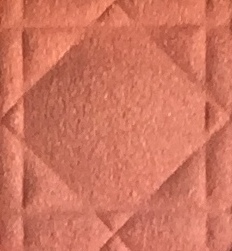 Because I just don’t see the shade here 🙂 It looks light pink in the palette, but when I swatch it, the only thing I see – every time I do it – is shine or sheen, I guess. And nothing else, really. Could some people possibly see light pink in it? Maybe. I don’t. The only thing this shade might do on top of sheen is make your lips look a little paler. Anyway, I’m not a fan of sheer noncolour lip shades, so this shade is just not enough of a shade for me. I so wish it were pink, a light pink, Ok, but pink. Instead it’s not really lip gloss, think lip balm, that’s what it’s like. 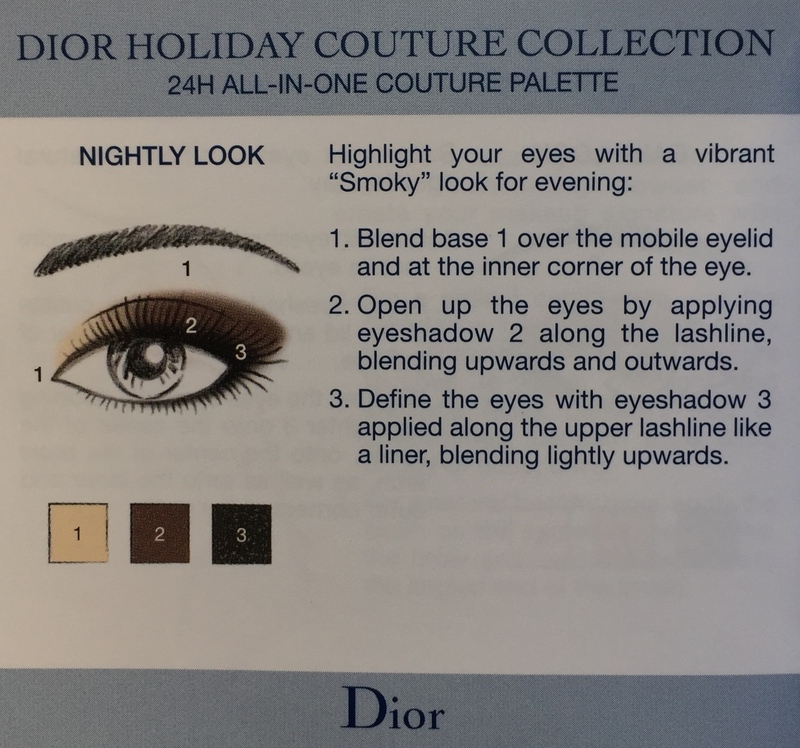 And nightly look by Dior. Hm. Exciting. 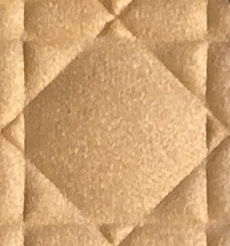 I guess you could say it’s a shiny cool beige echoing greige with a big pearly golden touch. 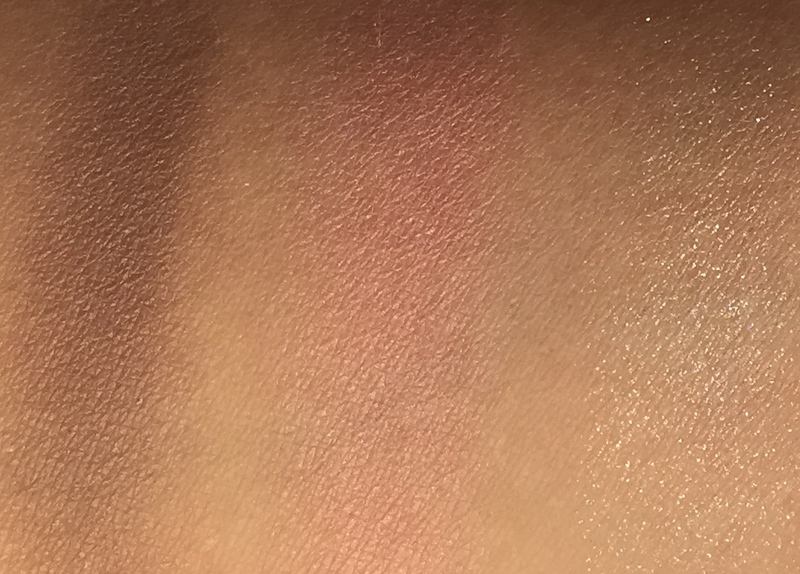 It’s the second time in this palette, where I’ve got to tell you I don’t think I’ve ever seen quite a shade like that. And I consider a palette superb, if I say it just once, so this palette is twice as good. This shade is equivalent to that touch of greige from the daily look. Only there we had less colour and more sparkle. 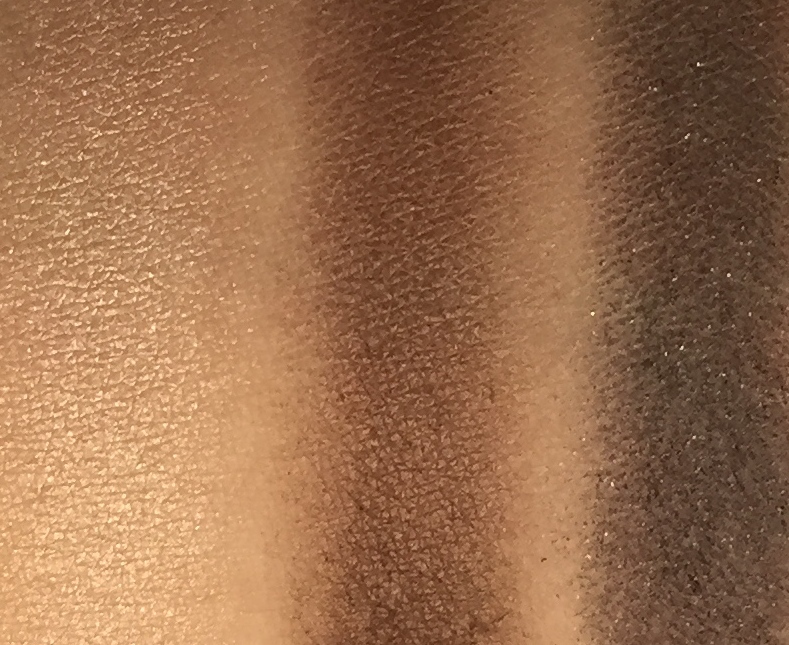 Here we have this interesting cooler beige with a light greige undertone and golden sheen, it’s all pearly, and it does give off this beautiful colour mix, mysterious in a way, so you’ll actually be able to get it on your lids, not just shine. 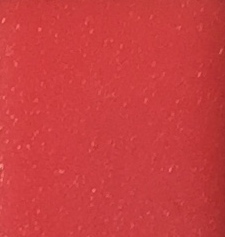 This shade is complex and special. Once again, it can multi task and serve you both in everyday life and party life, if you are not afraid of shine in makeup. Next we have this greige shade. The second greige in the palette. It’s much darker than the one in the daily look. But it’s no less warm. And it makes it so interesting. Warm greiges are rare. And it’s a pity. Because they are so languid and so hot deep in their core. Not in an on the nose way like black smoky eyes, not in a rock’n’roll way, but in a super exquisite way, dressed up way, special occasion way. 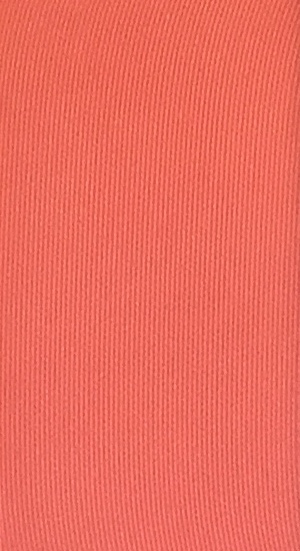 If you’ve never thought that warm greiges and browns can be sultry, look at this shade closely. It has a bunch of enveloping looks wrapped in it that will be less striking but no less efficient and impressive than all the greys and blacks out there. Love this shade. Here we go with the grey shade. As soon as I mentioned it 🙂 It’s not just grey though. It has the tiniest bronze sparkle in it. Wow. 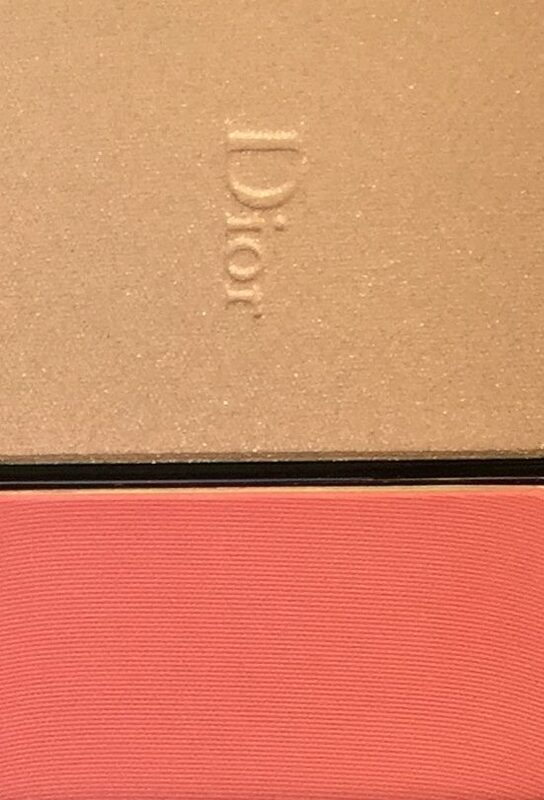 Just as I was about to ask how warm greige corresponds with grey, Dior managed to introduce such a subtle and sophisticated link in this shade to that greige shade by adding this warm bronze sparkle in it. This is chic. Amazing, really. A counterpoint of warm greige and cool darker grey. I mean, it makes sense, if you come to think of it, even in the warmer greige there’s grey hidden somewhere deep inside. So, the whole mix of warm greige and cool grey with bronze sparkle is elegant and almost dangerously hot. It’s a great idea. My love for this palette keeps growing. And one lip shade for the nightly look. The two looks – daily and nightly – are amazing. There’s something really special about them. They are held back, understated, reserved in the most elegant way there can be. Sophistication. Both looks are full of sophistication and new ways to make up. Thank you, Dior. That’s exactly what I’m looking for in makeup. I’m looking to get excited, inspired and have my interest piqued. Checkmark on all these points. Most importantly, remember that not only you can swap daily and nightly looks, you could also go across here and create your own looks by taking shades from one and the other. And that opens up a bunch of new possibilities. That’s shades. And looks. And now… I’m back to the beginning, that is, the casing design here. You know how I often tell you about limited editions and makeup collections that design just did it here, and that I’d get these products on seeing this design for design alone? Because design is part of the package for me, and it might well be stunning enough to do the trick. And only rarely, when the design, which is the first thing we see in a makeup product, doesn’t click, the shades and the products themselves can overpower the design disappointment. 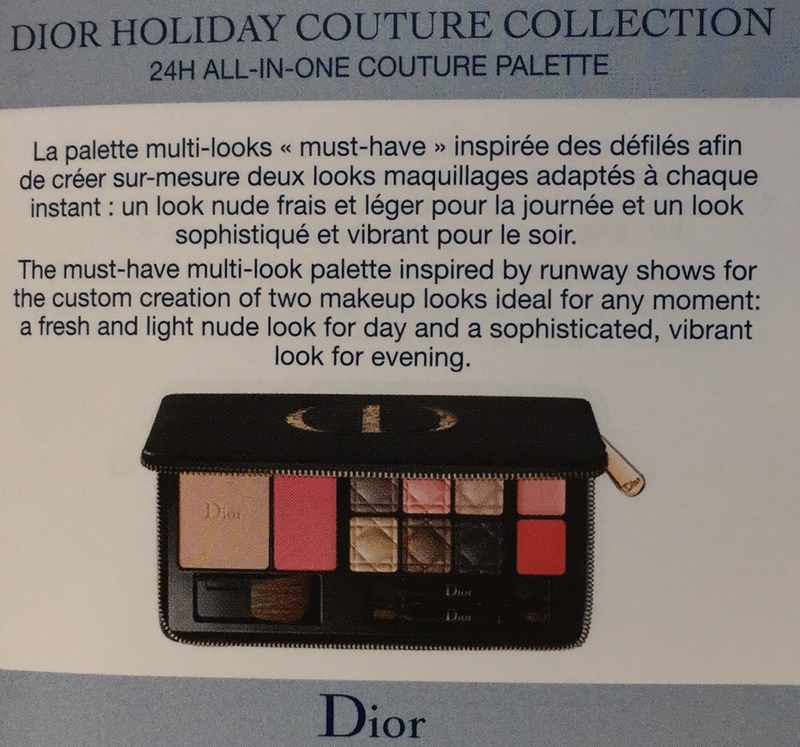 Well, this palette by Dior is rare, because that’s what happened here. 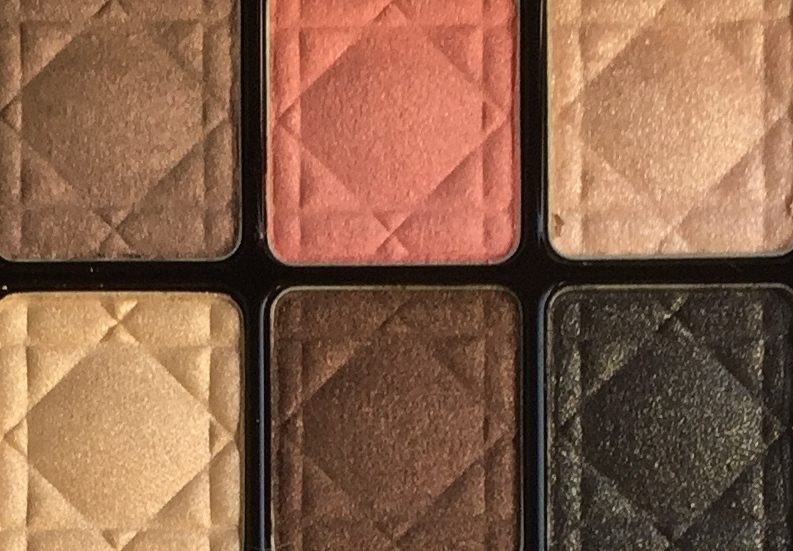 As much of a let down that rubbery look of the casing was to me initially, the shades in this palette – and by that I, first and foremost, mean eye shades – are so wonderful, and the texture is so posh, they are worth it. Whatever the design is, I don’t care anymore 🙂 after seeing, swatching and wearing this eyeshadow. 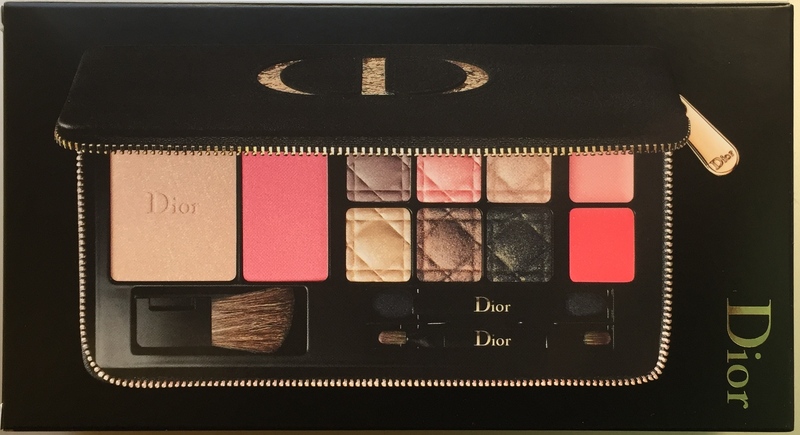 This is a truly great palette, Dior. And I appreciate it. And the design, well, it’s a matter of taste.